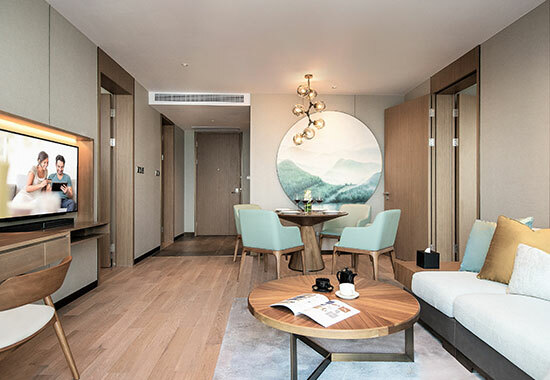 The serviced apartment is near schools, supermarkets, banks, and clinics, offering residents a complete range of lifestyle amenities. 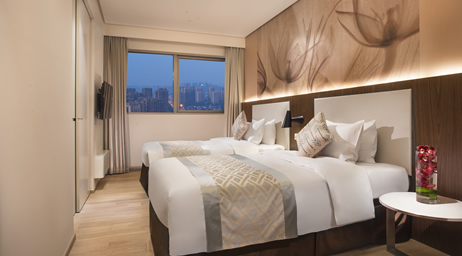 The Hangzhou Railway Station and Hangzhoudong Railway Station are located within a 30-minute drive, while Hangzhou Xiaoshan International Airport is 60 minutes away by car. 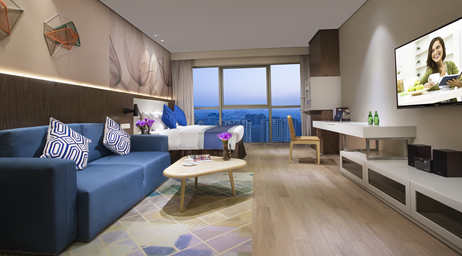 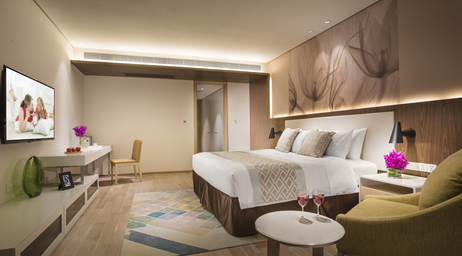 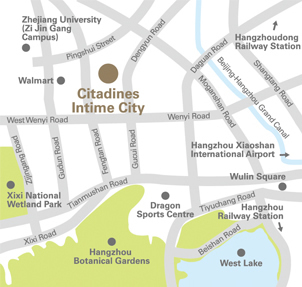 Citadines Intime City Hangzhou offers a wealth of amenities such as the gymnasium, cafe, billiards room, self-service laundry, mini-cinema, children’s play area and breakfast lounge. 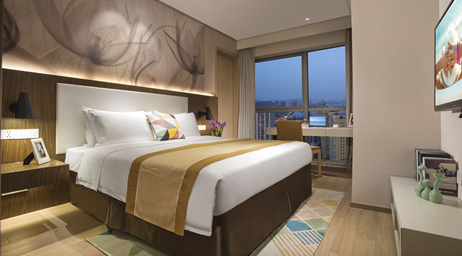 Facilities such as the business centre and meeting rooms come with wireless internet access to serve your business needs. 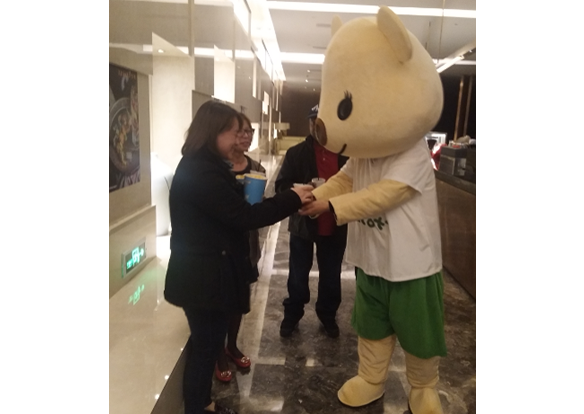 Citadines Intime City Hangzhou invited residents to watch a movie at the SAGA cinema in 5th floor in shopping mall.While all the public areas and rooms have dimmed down their lights to save energy.